The Committee on Congregational Vitality of the Presbytery of the Twin Cities Area is providing up to five $500 scholarships for those attending the 2019 Next Church gathering March 11-13 in Seattle. By Dec. 15, those who plan to attend should submit a letter of application to the presbytery explaining why they plan to attend the conference. The committee will review the letters at its December meeting and notify scholarship recipients in early January. Up to five scholarships will be awarded, with a maximum of one scholarship per church. The committee is asking those who attend the gathering to prepare a report for the May presbytery meeting.Letters should be sent to the presbytery office, 2115 Cliff Drive, Eagan, MN 55122. Digital letters may be sent to office@ptcaweb.org. Benjamin Masters, a candidate under the care of the Presbytery of Twin Cities Area, will be ordained on Saturday, Dec. 1, at 1 p.m. by the Presbytery of Geneva in upstate New York. Benjamin has accepted the call of First Presbyterian Church, Hector, New York, and Lodi Presbyterian Church, Lodi, New York, to be their pastor. 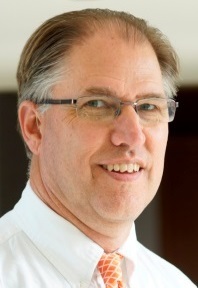 As a Presbytery, we offer our prayers and best wishes to Ben at this time of affirmation of his calling as a minister of Word and sacrament in the Presbyterian Church (U.S.A.). And we offer our deepest thanks to our own Committee on Preparation for the Ministry, co-chaired by Lisa Johnson and Luke Roske-Metcalfe, for their faithful accompaniment of Ben in his discernment and preparation for this ministry. Congregations interested in expanding mission and ministry can apply for up to $20,000 through the Congregational Development Grant program of the Presbytery of the Twin Cities Area. The presbytery anticipates that use of these funds will result in revitalized congregations, new forms of ministry in the presbytery, healthy partnerships, and most importantly, changed lives. Applications will be accepted beginning in January. The deadline for applications is March 1. Additional information and the application form are available at "Congregational Vitality." Here we are, again, at the cusp of this annual time of waiting and wonder we know as Advent. Every year, each like the one before it, Advent challenges us to balance the energy and frenetic pace of the Christmas season with the quietude our hearts and minds require in preparation for the coming of the Christ. To balance our love and commitment for others with our own self-care. This year, more than any I remember, because of all that has gone on, I need that balance, deeply, for myself. The complete Jottings are at "Waiting and Wonder." Westminster Presbyterian Church of Austin, Minnesota, is conducting its Festival of the Nativities today and tomorrow, Friday, Nov. 30, and Saturday, Dec. 1, presenting outreach to its community by bringing focus to the birth of Christ. The festival runs 4 to 8 p.m. each day. The event is non-denominational, intergenerational and free for everyone. The festival features lighted displays of nativities, vocal and instrumental Christmas music, children's activities, and refreshments. Details can be found at "Festival of the Nativities." A Level I boundaries training is planned Monday, Jan. 14, from 8:30 a.m. to 3:30 p.m. at Oak Grove Presbyterian Church in Bloomington. This training is required for all teaching elders in the presbytery, and is also appropriate for youth directors, Christian education staff, music staff, ministry volunteers, and people serving on church personnel committees. The training provides basic foundations and frameworks for healthy and safe Christian communities in terms of ministry relationships, finance, social media and confidentiality. Questions can be addressed to the instructor, the Rev. Anna Kendig, at akendig09@gmail.com. Monmouth College, a Presbyterian-related college in Monmouth, Illinois, offers a unique, two-week, summer program for high school students. And it's free. It's called Lux Summer Theological Institute for Youth, and the upcoming program, concentrating on hunger and poverty issues, has the theme, "A Place at the Table: Thinking Theologically about Hunger and Poverty." The Rev. Jessica Hawkinson, Monmouth's chaplain and director of the program, describes the program as "wonderful - and free!," adding that it "gives high school students from around the country a chance to immerse themselves in big theological questions." This year's program runs June 16-30. Details can be found at "Thinking Theologically about Hunger and Poverty." The season of Advent, which begins on Sunday, Dec. 2, is often misunderstood. Before Thanksgiving is even finished, people are inundated with the sights and sounds of Christmas. Within this consumer culture, it's easy to confuse the season of Advent with the number of shopping days until Dec. 25. "In Christian tradition, Advent challenges us to think about time in a much deeper way," said the Rev. 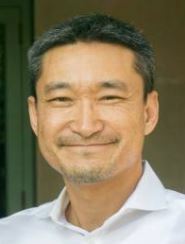 Dr. David Gambrell, in the Office of Theology and Worship of the Presbyterian Church (U.S.A.) "Advent asks us: What are we really waiting and hoping for?" The complete Presbyterian News Service story by Paul Seebeck, along with links to Advent resources, can be found at "Season of Advent." Is God calling you to start a new worshiping community? In what ways will you need to grow personally, spiritually and professionally to flourish as a leader of a new worshiping community? There's a way to find out through assessments offered through the 1001 New Worshiping Communities initiative of the Presbyterian Mission Agency. Scheduled over four days, the assessments offer the opportunity to spend time with a group of peers who are also in the discernment stage of starting a new worshiping community as well as with staff who have extensive experience in starting or supporting entrepreneurial ministries. Assessments are currently scheduled Feb. 19-22 in Los Angeles and May 28-31 Kansas City, Missouri. Registration is underway and details are at "Discernment Sessions." 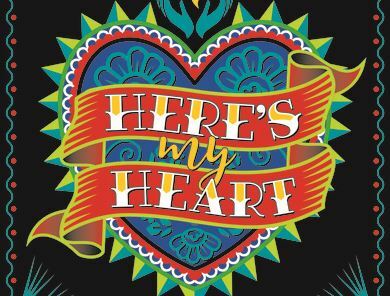 Registration for the largest event in the Presbyterian Church (U.S.A.) -- the Presbyterian Youth Triennium 2019 -- is now open for local registrars. While hundreds of volunteer PYT registrars throughout the PC(USA) and Cumberland Presbyterian Church have been planning, recruiting and raising funds, the national team is testing new digital forms and running "ghost" registrations to identify any problems. "We're currently shoring up the foundation of this mega event," says PYT Director Gina Yeager-Buckley. "We're closer to the date [in July] when thousands of anxious but curious and excited young Presbyterians will arrive by bus or plane to Purdue University." The complete Presbyterian News Service story by Paul Seebeck can be found at "Youth Triennium." Fidelity Investments, the record keeper for the retirement savings plan of the Presbyterian Church (U.S.A), recently announced reduced expenses on most of its stock and bond index funds, and a consolidation of index fund classes that allows for one, low-cost fund choice. The announcement is one of several stories of interest to members of the Board of Pensions retirement savings plan that are in the most recent edition of the Board Connections newsletter. Additional details about the fee reduction and fund consolidation can be found in a Fidelity document at "Frequently Asked Questions." The complete Board of Pensions newsletter is at "Connections." Oak Grove Presbyterian Church in Bloomington is searching for a part-time (20 to 30 hours per week) youth and young adult ministries coordinator. The complete job description can be found at "Youth and Young Adult Ministries Coordinator." Applications should be sent to Anne Klueh at astklueh@yahoo.com. 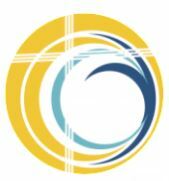 The Synod of Lakes and Prairies of the Presbyterian Church (U.S.A.) is seeking a financial services associate. The synod is seeking a diverse pool of qualified applicants with strong technical and interpersonal skills to provide administrative and financial operating support, under the leadership of the director of financial services, for business office operations, bookkeeping and accounting procedures, and records management. The application deadline is Dec. 7. The complete position description can be found at "Financial Services Associate." Crossroads Presbyterian Church in Mequon, Wisconsin, is currently looking for an interim associate pastor to provide continuity with its deacons, adult education, and mission and outreach ministries. This is a temporary role for the purpose of bridging the time until the congregation's pastor nominating committee finds a new senior pastor, and the congregation begins a search for an installed associate pastor. It is not required that this pastor be specifically trained in transitional work. The complete position description can be found at "Interim Associate Pastor." Resumes or PIFs can be sent to careers@crossroadspres.org. Applications should include any links or clips of relevant sermons or other recordings. 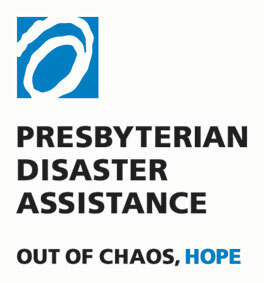 Presbyterian Disaster Assistance uses terms like "unprecedented" and "all-encompassing" when referring to the destructive fires of northern and southern California -- especially the Camp Fire that destroyed much of Paradise, California. Fires in southern California ignited just a day after a gunman killed 12 people at a country music bar in Thousand Oaks. "It is unusual for a wildfire to have such an all-encompassing effect on human habitation," said the Rev. Dr. Laurie Kraus, PDA director. "The concern is that if rains come afterwards, we are looking at mudslides." The complete Presbyterian News Service story by Mike Ferguson can be found at "California Disasters." The report is ominous -- declining economy, including a possible downturn in tourism, threats to water, agriculture, infrastructure and health, and a half-dozen other potential near-term calamities. Released recently by the U.S. Global Change Research Program, the Fourth National Climate Assessment summarizes 12 significant threats posed by climate change, including to communities, essential services, indigenous peoples, ecosystems, and oceans and coasts. While the impacts of climate change are already being felt in communities across the country, future climate change is expected to "further disrupt many areas of life, exacerbating existing challenges to prosperity posed by aging and deteriorating infrastructure, stressed ecosystems and economic inequality," the report states. The complete Presbyterian News Service story by Mike Ferguson can be found at "Climate Assessment."